Ian Kenins' Snapshot of Melbourne | Daily Review: Film, stage and music reviews, interviews and more. The oft-used phrase “I am a camera” – taken from a line in the 1930s novel Goodbye to Berlin by Christopher Isherwood – has special significance in the case of Ian Kenins, who truly is a consummate photographer. The passion that Kenins, an experienced and widely travelled former newspaper lens man, has for his craft is such that he won’t hesitate to stop the car whenever he senses even a remote possibility of a photograph, and he has for years been haunted by those images he reckons he missed by a second or two. Indeed, Kenins comes across as not the sort of person accustomed to doing anything by halves. Not only has he drawn upon nearly three decades’ worth of street photographs in his new book A Snapshot of Melbourne but he has founded a publishing company dedicated to showcasing the work of Australian photographers, both professional and amateur. ”I don’t believe street photography has to be done by stealth” – Ian Kenins. Kenins says he bought his first camera at the age of 18 and started taking it with him to major sporting events in Melbourne. “In the late 1970s and 1980s there were no ID lanyards or strict policing of the media at sporting events, so I got away with sitting among the real professionals at the football and cricket”. When Kenins approached Collingwood Football Club with photos he thought were better than those being taken officially for the club, he was promptly hired by Collingwood at a rate of $50 per Saturday. Although subsequently he worked for a wide variety of Australian and overseas newspapers, magazines and press agencies, Kenins says he was never attracted to the more glamorous and no doubt lucrative areas within professional photography. Choosing to use small focal plane lenses means Kenins literally gets up close and personal with his subjects. Kenins believes his desire to photograph the endless teeming variety of everyday life on the streets stems from his background. “My parents were relatively poor village farmers from Latvia who became part of Australia’s post-World War Two immigration boom. I grew up in Melbourne’s then working class western suburbs, surrounded by families of similar backgrounds, and have never felt entirely comfortable in the company of affluent people. As a photographer, and later a journalist, becoming a storyteller of ordinary people became my thing”. 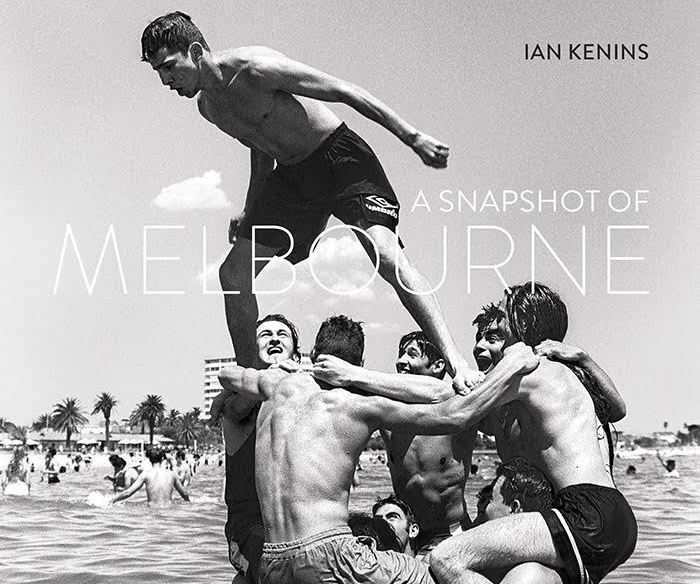 “A Snapshot of Melbourne” photographer Ian Kenins. Photograph by Ken Irwin. Kenins is unassuming when it comes to equipment as well as subject matter, preferring the most basic cameras with standard lenses. Choosing to use small focal plane lenses means Kenins literally gets up close and personal with his subjects. “I don’t believe street photography has to be done by stealth. Over time, when approaching a scene, I thought worth photographing I’ve learned to smile and use the line ‘Just go on with what you’re doing and pretend I’m not here – I’ll explain later’”. Although most of the people in the photos included in A Snapshot of Melbourne know he is there, they all seem remarkably natural. “The suburbs have largely been ignored by Australian artists, and this is another reason I like capturing street life,” he says. Kenins’ own taste in fine art reflects his egalitarian approach to photography. 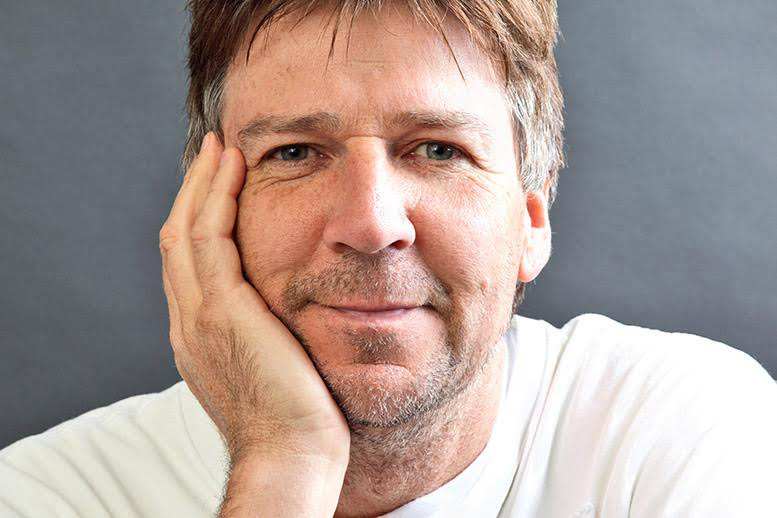 “My favourite Australian artist is the late, great Howard Arkley, who was one of the few to draw attention to the suburbs. I also think the suburbs have largely been ignored by Australian artists, and this is another reason I like capturing street life. I was told many years ago that much of my work will be more important decades and centuries into the future as it captures a time and way of life that is fast disappearing”. While conscious of the potentially enduring historical value of street photography, Kenins is acutely aware of the fleetingness of those briefest of moments revealed by the unending quest for “humour, tenderness and the offbeat”. Among the more than 150 images collected A Snapshot of Melbourne, Kenins cites as one of the most cherished images a photo of a boy and his dog jumping Elwood Canal taken in 1998. 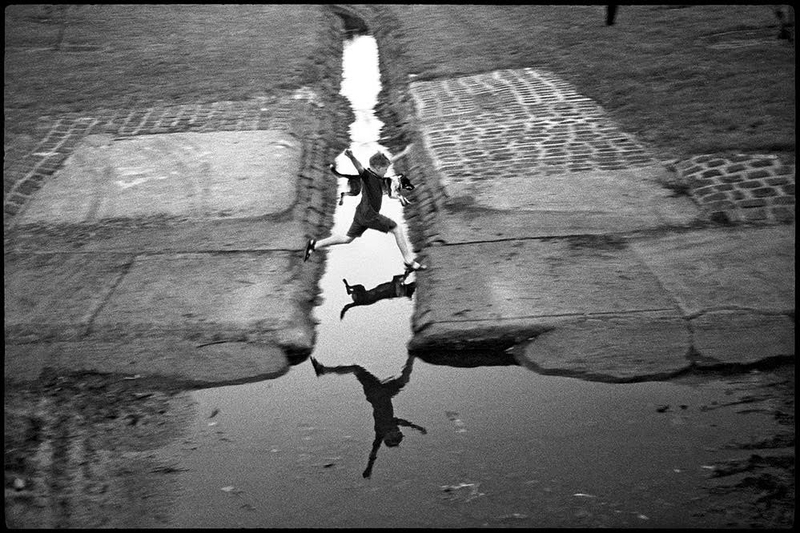 The image, which unintentionally echoes Henri Cartier-Bresson’s iconic 1952 photo “Decisive Moment”, arguably is an even more surprising and moving image than its famous predecessor since the boy and dog, almost uncannily, are captured in perfect yet natural synchronisation. Kenins just happened to be walking home in quickly fading light when he witnessed the scene, and quickly arranged with the boy’s mother to let her son have a few more jumps before they left. Of the four frames hastily taken in rapidly deteriorating conditions, only one worked. “I love the generic quality of this image of the fearless joy of childhood, a boy thrilled with his newfound athleticism, the bond between child and pet. Furthermore, there are no distracting elements in the background or foreground. It’s a photo that could have been taken 100 years ago, and could be taken in 100,000 years’ time. For the rest of my way home after taking that picture I knew I had something special if things worked out my way”. To write “focal plane lenses”is meaningless mumbo jumbo; “[short] focal LENGTH lenses” (sometimes hyphenated as “focal-length” to form a compound adjective) is on the other hand accepted terminology. A “plane” is a real or imaginary flat surface; photographic examples are “film plane”—where the fillum is located, and “focal plane shutter”—a mechanical device found a few millimetres in front of the ”film plane”. And “lens man”? What is wrong with the time-hallowed and gender-neutral “photographer”? At least “lens man” is better than the smugly sneering “snapper” once offered to me by a [retired] newspaper editor. The title of John Van Druten”s 1951 play and the subsequent film was “I am a camera”; both were based on Isherwood’s novella “Goodbye to Berlin”.